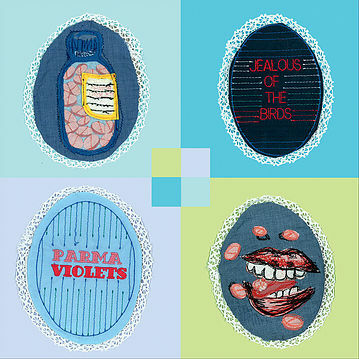 Two years on from Jealous of the Birds’ (aka Naomi Hamilton) debut LP, Parma Violets, comes a five song EP that pulls four re-recorded songs from the album plus a new single. The Moths of What I Want Will Eat Me in My Sleep may be a longish title for a brisk fifteen minute, five song release but a lot of stylistic ground is covered. With Hamilton’s background in poetry, it’s not surprising that her lyrical couplets and keenly observant eye are what stand out regardless of what direction is being taken musically. The new single, ‘Plastic Skeletons’, kicks things off with a sing-song cadence set on top of a rush of psychedelic urgency. Detailing journal entries of Hamilton’s first venture to the U.S., the song is sprinkled with images that resonate from Chicago’s dreariness to Austin’s vibrancy. 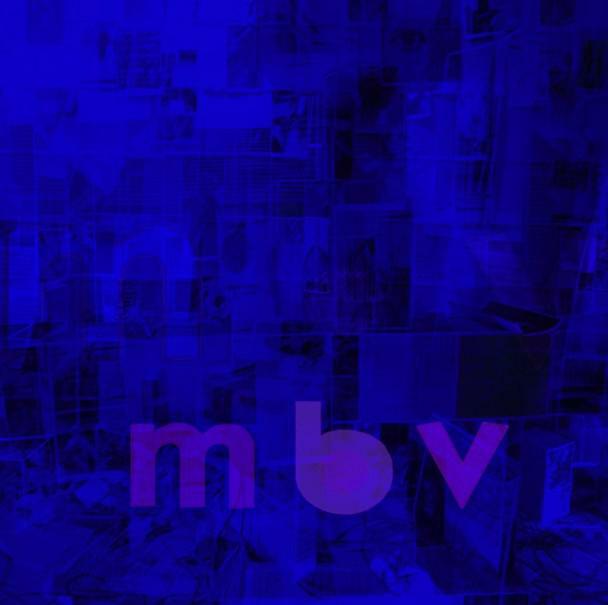 Skipping from palm trees, margaritas, fire ants, skinny jeans, and the plastic skeletons of the title the track takes on a cinematic swirl coupled with a measured meter. Even though urban decay and a legacy of “long dead bison” are invoked, the song is clearly more documentary travelogue than judgment. The other four songs that make their reappearance here are characterized by a cleaned up sound and brighter production. Whether ‘Miss Misanthrope’ is intended to be a tip to Hamilton herself or not, it does portray a blissfully languid domesticity set to a folky acoustic rhythm. Making French toast and spending the day reading Walt Whitman seems a perfectly sensible thing to do in this setting. The song also benefits from some of her most evocative images - “blue as a robin’s egg” and “acorns in the snow”. The jangly C86 stylings and great hook of ‘Trouble in Bohemia’ benefits the most from the higher quality production. ‘Tonight I Feel Like Kafka’ has an Elliott Smith low key mournful vibe about it while ‘Russian Doll’ goes from compressed to full on fizzy pop over its quick pace. The updated sound for these tracks is welcome, but given Hamilton’s astute observations I really was hoping for more new material here. The EP’s title seems to convey some fear of being consumed by what we long for the most. If what Hamilton is looking for is more time on the musical stage, she may be on the brink of breaking out. She has a strong, if not distinctive voice, and the lyricism to succeed. Now she just needs to catch her musical muse again and treat us to more of her art.